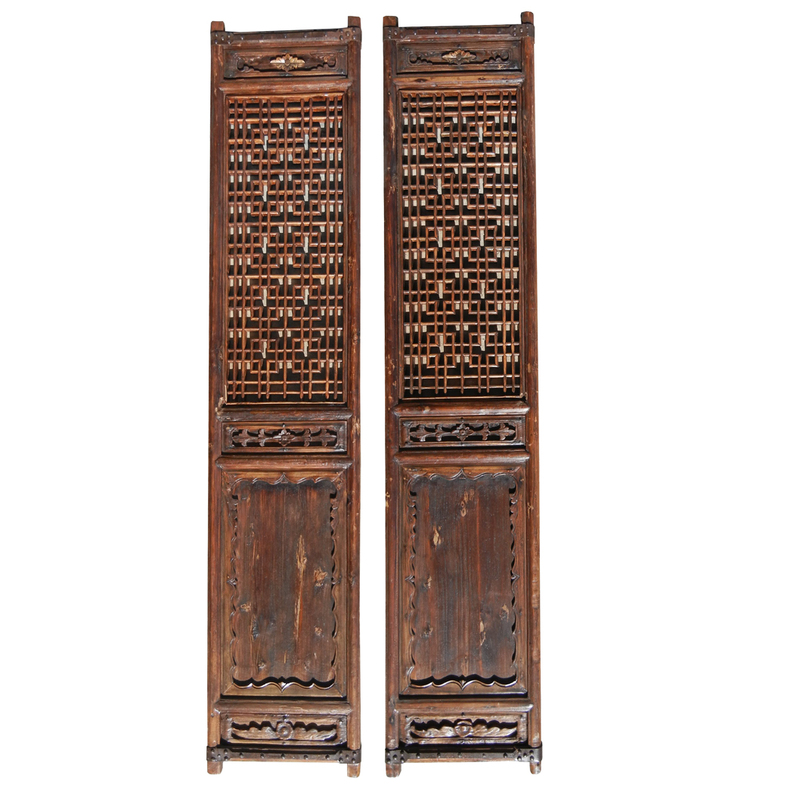 Pair of extra tall and narrow 17-18th century antique Northern Chinese Yu wood lattice screen doors with wrapped around iron fittings on the top and the bottom. 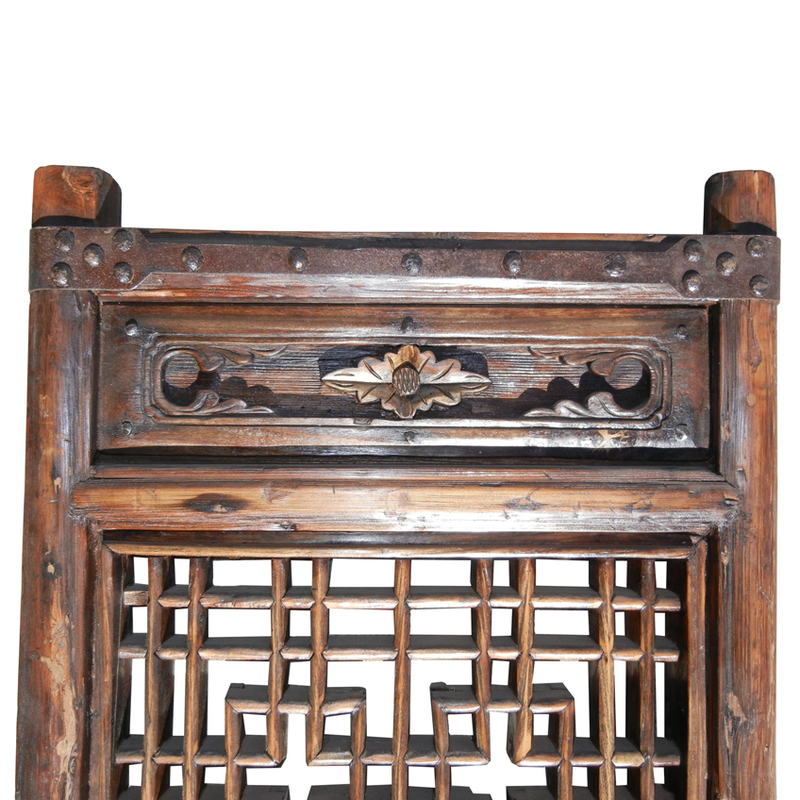 The small inserted panels on the top and the bottom of the door are distinctively carved in a relief style with a Ming floral motif in the center. The lattice work is composed in straight lines with small pairing rectangular squares linking from the top to the bottom. The flavor of these doors, the wood, and the iron fitting suggest that these simple yet striking looking doors might have come from the inner Northern area in China. They are from 17-18th century.